The Xbox 360 is a console produced by Microsoft, developed in cooperation with IBM, ATI, Samsung, and SiS. The Xbox 360 is the successor to the Xbox, and it competes with Sony’s PlayStation 3 and Nintendo’s Wii as part of the seventh generation of gaming systems. The PlayStation 3 is the third video game console of the PlayStation brand from Sony Computer Entertainment. It is the successor to the highly successful PlayStation 2. The PS3 competes with the Xbox 360 and Nintendo’s Wii as part of the seventh generation of video game consoles. The Wii is the fifth home video game console released by Nintendo. The console is the direct successor to the Nintendo GameCube. The Nintendo Wii competes with both the Playstation 3 and Xbox 360 as part of the seventh generation of gaming systems. The PlayStation Portable is a handheld game console released and manufactured by Sony Computer Entertainment. The system was released in Japan on December 12, 2004, the United States and Canada on March 24, 2005 and in Europe and Australia on September 1, 2005. The Nintendo DS, often abbreviated NDS or simply the DS, is a handheld game console developed and manufactured by Nintendo, and first released in 2004. The console features a clamshell design, with two LCD screens inside – one of which is a touch-sensitive screen. The Xbox is a sixth generation era video game console produced by Microsoft Corporation. It was Microsoft’s first foray into the gaming console market, and competed directly with Sony’s PlayStation 2, and to a lesser extent, the Nintendo GameCube. The PlayStation 2 is Sony’s second video game console, the successor to the PlayStation and the predecessor to the PlayStation 3. It has become the fastest selling and most dominant home console of video game history, with over 115 million units shipped worldwide by Dec. 2006. The Nintendo GameCube is Nintendo’s fourth home video game console, belonging to the sixth generation era. The GameCube itself is the most compact and least expensive of the sixth generation era consoles. It is the successor to the Nintendo 64 and the precursor to the Wii. The Dreamcast is Sega’s fifth and final video game console and the successor to the Sega Saturn. An attempt to recapture the console market with a next-generation system. Generally considered to be ahead of its time but failed to compete with the PS2. The Game Boy Advance is a 32-bit handheld video game console developed, manufactured and marketed by Nintendo. It is the successor to the popular Game Boy Color, and is the first handheld Nintendo game system to use widescreen on all games. The Nintendo 64 is Nintendo’s third home video game console. It was named for its 64 bit processor. The Nintendo 64 was the last mainstream home video game console to use masked ROM cartridges to store its games. 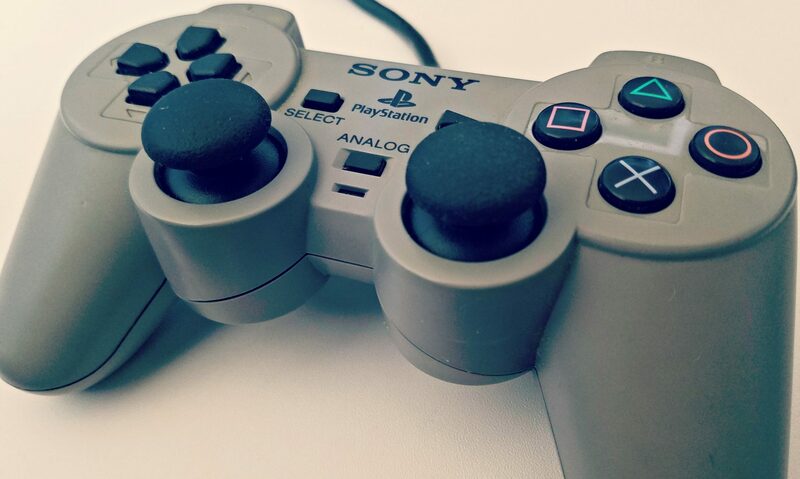 The Sony PlayStation is a video game console of the fifth generation, first produced by Sony Computer Entertainment in the mid-1990s, it was a 32-bit system. By March 2005, the PlayStation was the first home console to ever reach the 100 million mark of sold units. The Sega Saturn is a 32-bit video game console, first released on November 22, 1994 in Japan, May 11, 1995 in North America and July 8, 1995 in Europe. The system was supported in North America and Europe until late 1998, and in Japan until the end of 2000. The Atari Jaguar was released in November 1993 to rival the Mega Drive/Genesis and the Super Nintendo as a powerful next generation platform. It was touted as the “first 64-bit system”. It was a commercial failure and prompted Atari to leave the hardware business. The Amiga CD32 is Europe and North America’s first 32-bit CD-ROM based game console. The CD32 is based on Commodore’s Advanced Graphics Architecture chipset, and is of similar specification to the Amiga 1200. 3DO Interactive Multiplayer is a line of video game consoles which were released in 1993 and 1994 by Panasonic, Sanyo and Goldstar, among other companies. The system was conceived by entrepreneur and EA Games founder Trip Hawkins. The Virtual Boy was the first portable game console capable of displaying “true 3D graphics.” It met with a lukewarm reception that was unaffected by continued price drops. Nintendo discontinued it the following year of it’s release. The Game Boy Color is Nintendo’s successor to the Game Boy. It features a color screen and is slightly thicker and taller than the Game Boy Pocket, but smaller than the original Game Boy. The Super Nintendo Entertainment System was Nintendo’s second home console, following the Nintendo Entertainment System. The SNES proved to be a global success and became the best selling console of the 16-bit era. Neo-Geo was a cartridge-based game system released in 1990 by Japanese game company SNK. It offered comparatively colorful 2D graphics and high-quality sound. A major platform for arcade games at the time, the system was also available as a costly home console. The Sega Mega Drive was released by Sega and debuted under the name Sega Genesis in North America, as Sega was unable to secure legal rights to the Mega Drive name in that region. It was the direct competitor of the SNES, although it was released two years earlier. The TurboGrafx-16, known as PC-Engine in Japan was an 8-bit system, with 16-bit graphics chip capable of displaying 482 colors at once. It was a collaborative effort between Japanese software maker Hudson Soft and NEC. The Sega Mega-CD was an add-on device for the Sega Mega Drive released in Europe, Australia, New Zealand and Japan. The Genesis add-on for the North American market was called Sega CD. The device allowed the user to play games, audio CDs, and CD+G discs. The Sega Nomad was a handheld game console sold in North America and Japan which played Sega Mega Drive/Genesis game cartridges. It was based on the Japanese Sega Mega Jet and featured a built-in color screen. The Atari 7800 was released by Atari in June 1986. The 7800 was designed to replace the unsuccessful Atari 5200, and re-establish Atari’s market supremacy against Nintendo and Sega. It was almost fully backward-compatible with the Atari 2600 and affordable. The Sega Master System is an 8-bit cartridge-based video game console that was manufactured by Sega. Its original Japanese incarnation was the SG-1000 Mark III. The Master System was released as a direct competitor to the NES/Famicom. The NES is an 8-bit video game console released by Nintendo in North America, Brazil, Europe, Asia, and Australia. Its Japanese equivalent is known as the Famicom (Family Computer). NES is the most successful gaming console of its time in Asia and North America. The Sega Game Gear is a handheld game console which was Sega’s response to Nintendo’s Game Boy. It was the third commercially available color handheld console, after the Atari Lynx and the Turbo Express. Support for the Game Gear was dropped in early 1997. The Lynx was a handheld game console released by Atari in 1989. The Lynx had the privilege of being the world’s first handheld electronic game with a color LCD display. The system is also notable for its forward-looking features, advanced graphics, and ambidextrous layout. The Game Boy is a handheld game console developed and manufactured by Nintendo, released in 1989. The Game Boy was the first successful handheld console, and was the predecessor of all other iterations of the Game Boy line. The ColecoVision was released in August 1982. The ColecoVision offered arcade-quality graphics and gaming style, the ability to play other home consoles’ video games (notably the Atari 2600), and the means to expand the system’s hardware. The Atari 5200 SuperSystem, or simply the Atari 5200, is a video game console that was introduced in 1982 by Atari as a replacement for the famous Atari 2600. A number of design flaws had a serious impact on usability, and the system is generally considered a failure. The Intellivision is a video game console released by Mattel in 1979. Development of the console began in 1978, less than a year after the introduction of its main competitor, the Atari 2600. The word intellivision is a combination of the two words “intelligent television”. The Magnavox Odyssey 2, known in Europe as the Philips Videopac G7000, in Brazil as the Philips Odyssey, in the United States as the Magnavox Odyssey 2 and the Philips Odyssey 2, and also by many other names, is a video game console released in 1978. The Atari 2600 is the first successful video game console to use plug-in cartridges instead of having one or more games built in. It was typically bundled with two joystick controllers, a pair of paddle controllers, and a cartridge game – initially Combat and subsequently Pac-Man. The APF TV Fun was an early PONG clone manufactured by APF Electronics Inc. in the United Kingdom in 1976. It featured four built in games, a built in speaker, and two controller knobs. It could be powered by either the included AC adapter or by using 6 C size batteries. The Telstar is a video game console produced by Coleco which first went on sale in 1976. Originally a PONG clone based on General Instrument’s AY-3-8500 chip. The large product lineup and the impending fading out of the PONG machines led Coleco to face near-bankruptcy in 1980. The Magnavox Odyssey is the world’s first video game console. It was released in fall 1972, predating the Atari PONG home consoles by several years. The Odyssey was designed by Ralph Baer, who had a working prototype finished by 1968. Adobe Flash Professional is used to create content for the Adobe Engagement Platform (such as web applications, games and movies, and content for mobile phones and other embedded devices). A mobile game is a video game played on a mobile phone, smartphone, PDA, handheld computer or any type of handheld or wireless device. The most common devices are the iPhone, Blackberry and smartphones running Google Android OS.